This wooden framed 2.5 metre diameter wood pulley parasol is easy to open and close thanks to it’s quality engineered cord and pulley mechanism. 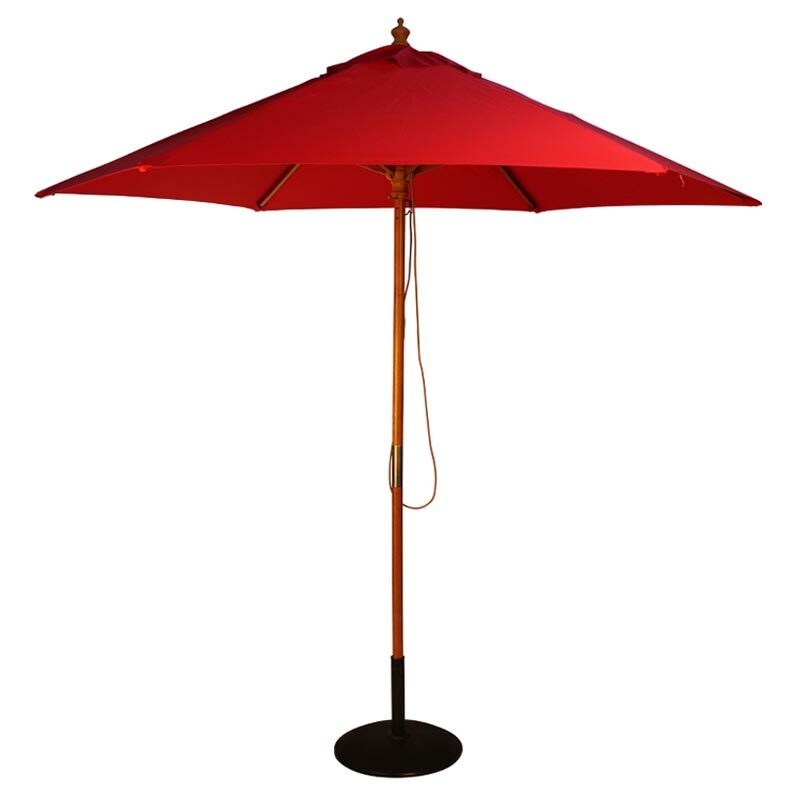 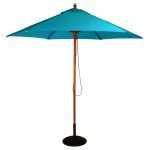 The shaft of this smart, large wood pulley parasol is made from a high quality, varnished wood. Made in 2 sections, which screw neatly together, this stylish outdoor garden parasol sports a smart, screw-on traditional decorative finial at the top. The substantial shaft of this wonderful wood pulley parasol has a diameter of approx 3.8cm (1.5 inches). 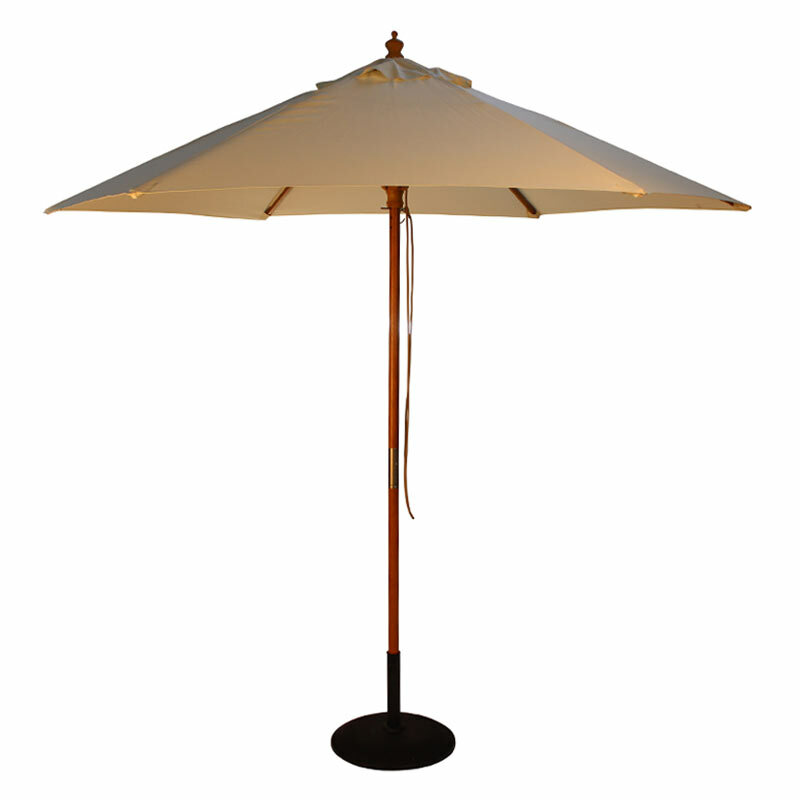 This is also an affordable, high quality, heavy duty wood pulley parasol, designed to last. 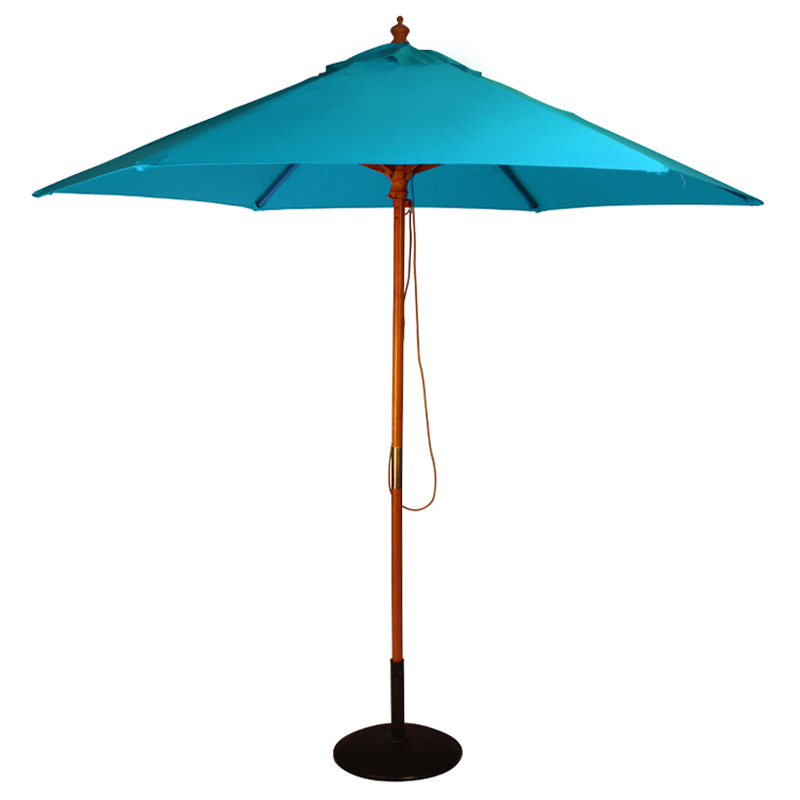 We think you’ll be seriously impressed with the quality when you receive it and unpack it for the first time. 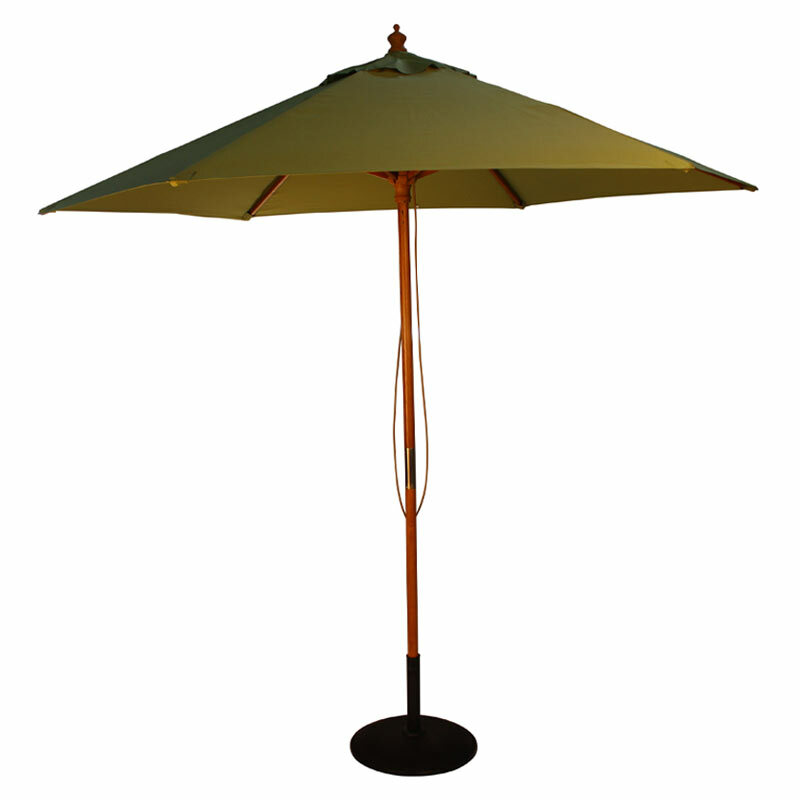 It has a thick durable polyester canopy, that’s vented at the top for improved wind resistance. 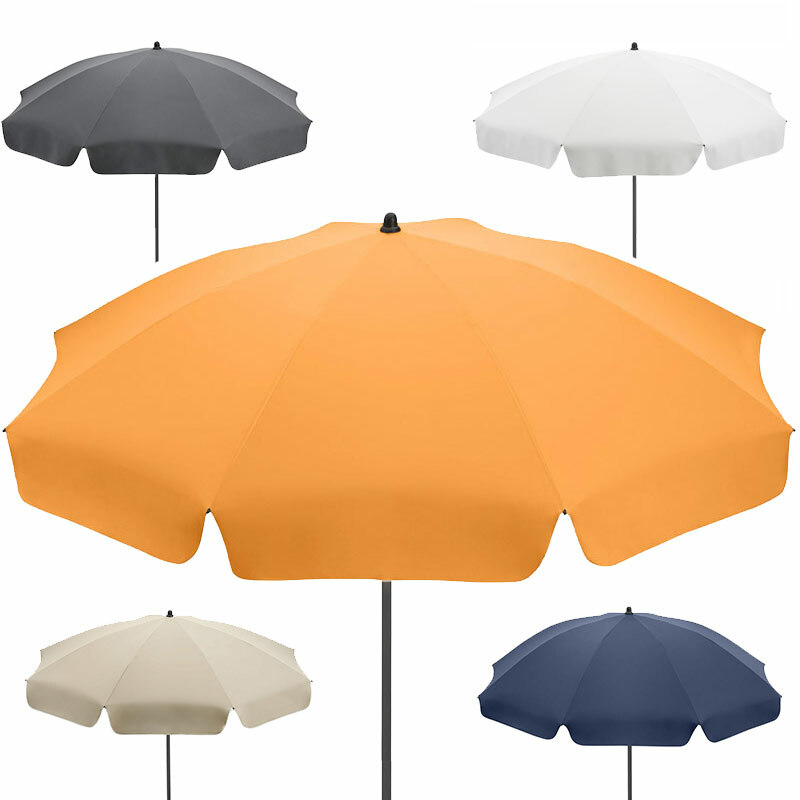 The entire canopy is removable (easy to wash and keep clean) and is resistant to fading. 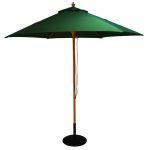 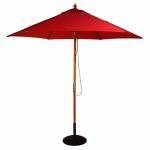 A top quality, commercial grade wood parasol that will keep you cool or dry (weather depending), this parasol is sure to smarten up any furniture set. 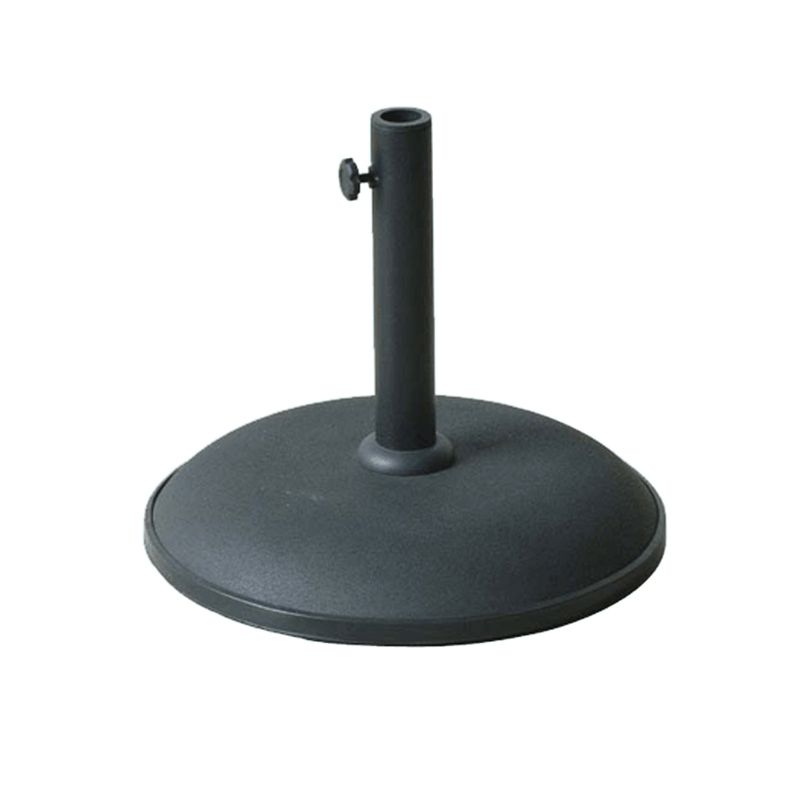 Weighing around 8kg (17.6 lbs) it’s easy enough to use and manoeuvre. 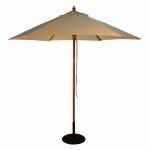 Extremely functional, this classic wooden parasol has an external cord pulley system to hoist its expansive sunshade canopy. 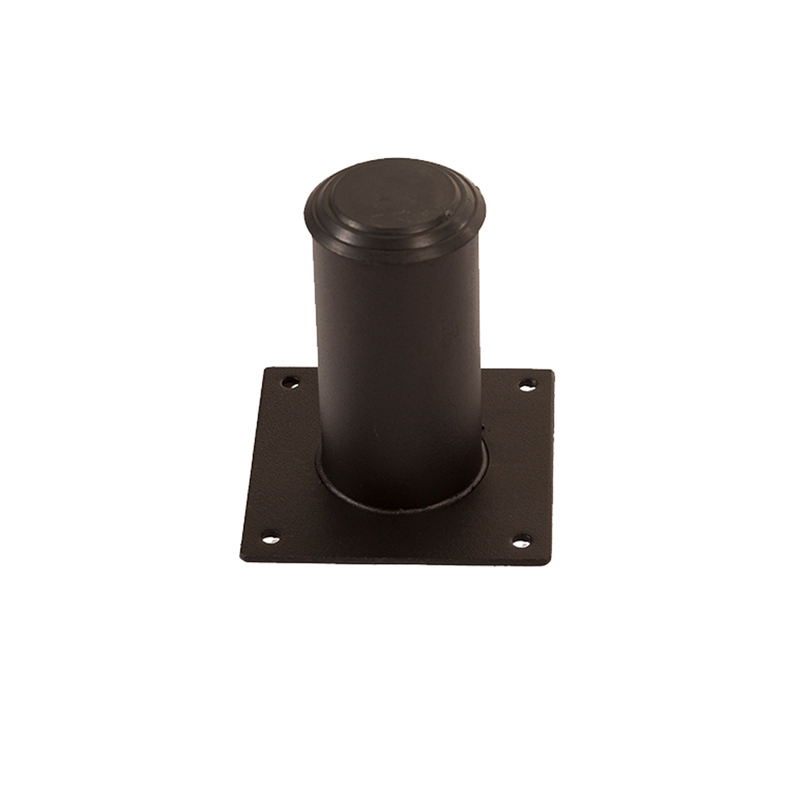 A simple but efficient peg and hole holding pin enables variable, adjustable canopy height and tension adjustment to suit your needs. 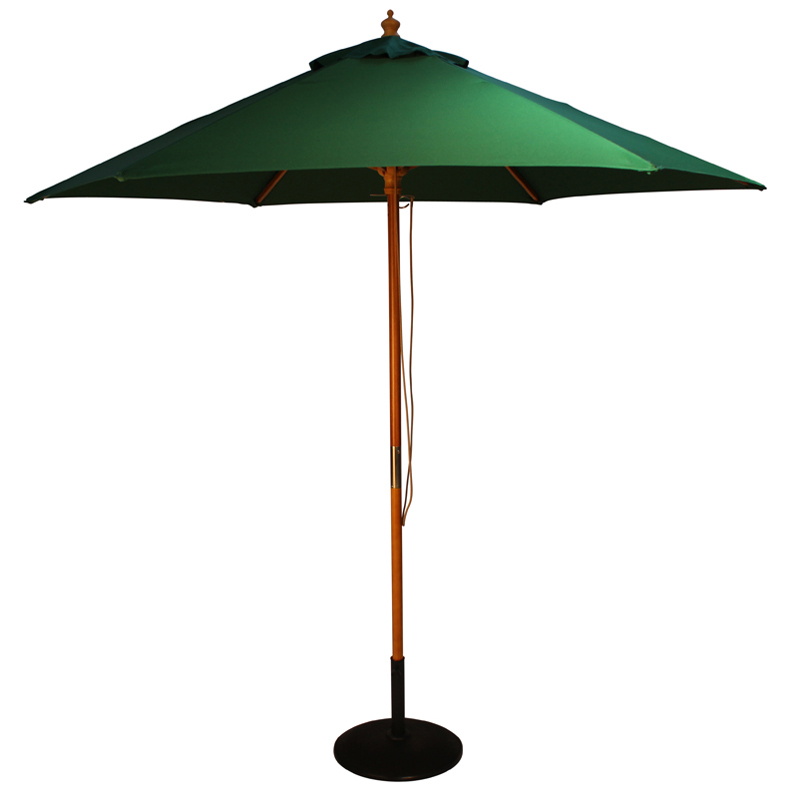 Designed to give many years of trouble-free use, this quality wood pulley parasol is available in various canopy colours – just select the colour you prefer. 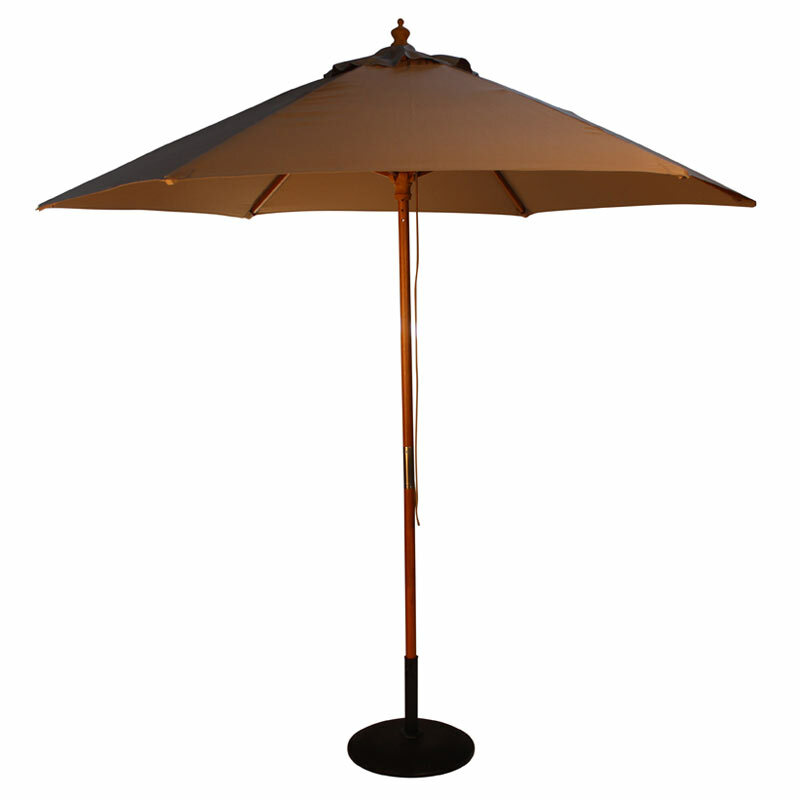 Note: Does not include parasol base. 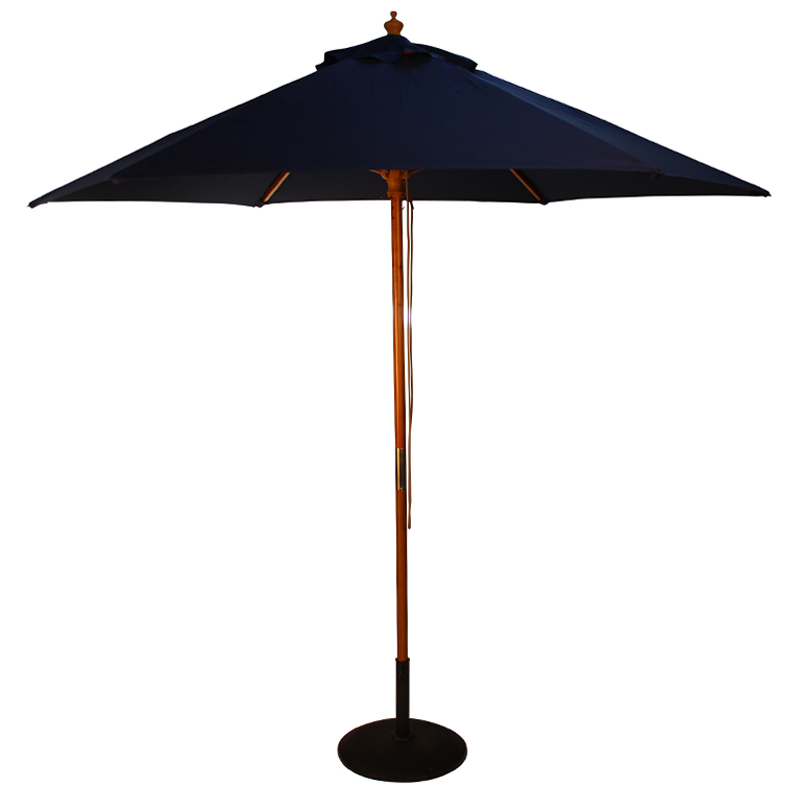 We do provide a number of suitable parasol bases and stands for you to consider; 15kg concrete parasol bases, available in a variety of colours, or the heavy duty 50kg concrete parasol base for a totally robust solution. 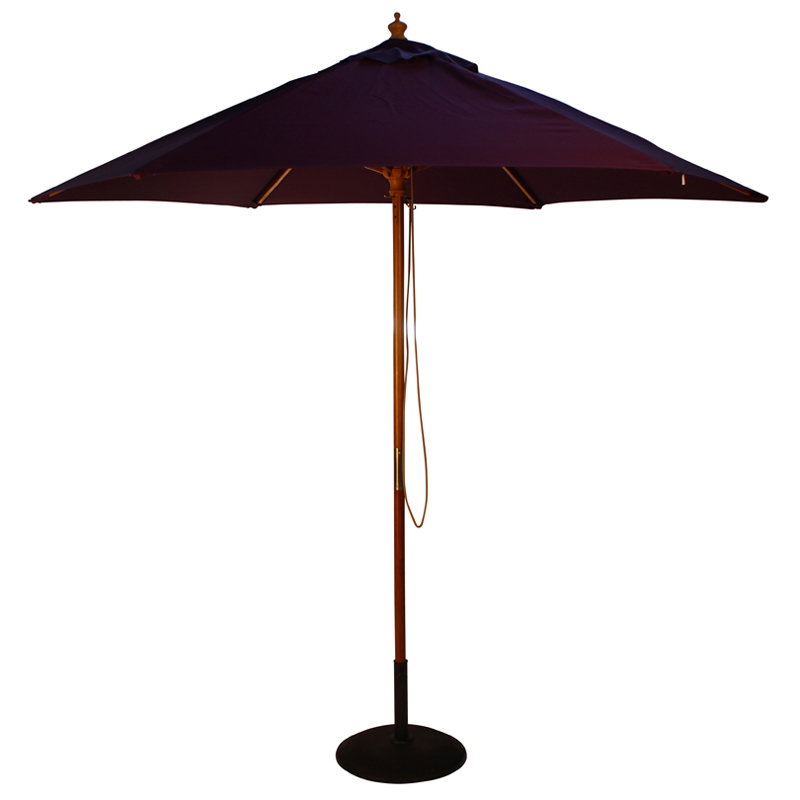 Alternatively, take a look at the new Paralock fixed parasol holder / stand – click here to view.